GoodReads summary: England, 1914. Poppy is fifteen, beautiful and clever, but society has already carved out her destiny. There's no question of her attending the grammar school - it's too expensive and unsuitable for a girl. Instead, Poppy will become a servant at the big house. And she'll 'keep out of trouble'. But Poppy's life is about to be thrown dramatically off course. 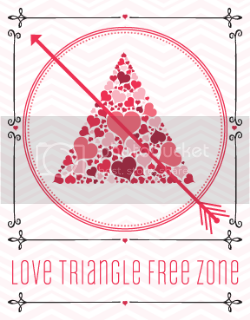 The first reason is love - with someone forbidden, who could never, ever marry a girl like her. The second reason is war. Nothing could have prepared her for that. As she experiences what people are capable of - the best of humanity and the very worst - Poppy will find an unexpected freedom and discover how to be truly her own person. Poppy is a touching story about war, friendship, and first love. Prior to becoming a book blogger I wasn't a big historical fiction reader, but over the last year or so I have been reading more and more books from the genre. I am especially interested in ones that are centered around WW1 and 2. Recent war-related books I have read and thoroughly enjoyed are Prison of Night and Fog by Anne Blankman and The Book Thief by Markus Zusak. 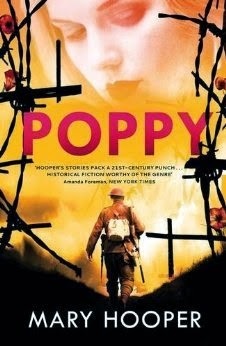 Poppy too has now been added to my list of enjoyable war-related reads. I have only read one other book by Hooper and that is Fallen Grace, a wonderful story set in the Victorian Era. Something that Hooper excels at is painting a vivid image of the era in which the book is set in. It is obvious she has done her research, I truly felt as if I were there with Poppy on her journey of self-discovery. It was interesting reading about the war through the eyes of a 15 year parlormaid-soon to be VAD nurse. Poppy is a lively and intelligent mc, who I had no problem rooting for. As of late she has been feeling romantic feelings towards her employers youngest son, and he seemingly is quite taken with her too. Just as something begins to brew, however, her ex-teacher presents her with an opportunity of a life time - to train as a VAD nurse, and by doing so serve her country and do her bit for the war effort. Her teacher believes she is far too resourceful and intelligent to be working as a parlormaid, so she offers to pay her allowance seeing as how it is a voluntary position. The era in which the book is set was a time of great change for women. They were found taking on jobs that prior to the war were considered to be jobs for men. During her time training as a VAD nurse Poppy learns much, and her eyes are opened to the horrors and wonders of war. She makes new friends, all the while secretly writing to Freddy. Both storylines, romantic and otherwise, had me glued to the book. The ending left me wanting more, so I was delighted to find that there is going to be a sequel "Poppy in the Field". I am very much looking forward to continuing on with Poppy's story. Yay! So glad you enjoyed this, I have it for review and it sounds like a great read. I'm going to check out Fallen Grace too, I adore historical fiction but I haven't read much in the last year so definitely want to remedy that! Great review Renu! I do NOT like books that are set during war time periods. Not because they are badly written but they always break your heart. It's why the history buff in me seeks out time travel or historical romances to compensate for things I wouldn't otherwise be able to enjoy. I am weird :P Someday though, I am going to overcome this fear because this book sounds so sweetttt. Historical fiction never appealed to me before I started blogging either, Renu. Now, it's one of my absolute favourites - when done well. I love the sound of this, and I'm definitely adding it to my list. Lovely review, doll! It's interesting because I never really used to be into histfic either before starting to blog. Now I am slowly getting more into it. I love being able to learn through a fiction novel! This one sounds like a good one so I'll have to add it to my tbr. This sounds like a great-read! I think I'll enjoy the character growth of Poppy. Thanks for sharing! I love historical fiction when the time period has been well researched and it sounds like that was the case with Poppy. I also like that there's a nice balance of friendship and romance. I haven't heard of this one until now but I'll be adding it to my wishlist. Thanks for the recommendation, Renu! I'm not usually a fan of Historical Fiction, but I've read some and it's usually the atmosphere in it that makes a world of difference. I love it when they reel you in into their time and let you experience first-hand what life was like during that era/situation. I'm glad this particular book gave you just that! I think I'll put this one into my TBR list and have a go at it when I find the time :D Great review!